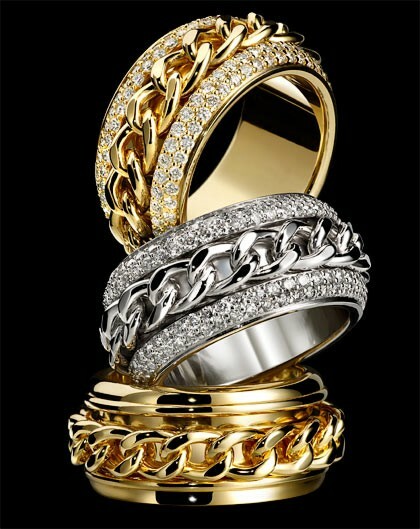 Swiss jewelry and watchmaking brand Piaget is celebrating the 20th anniversary of the Possession ring. 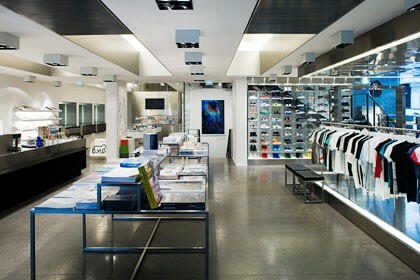 This new model will be previewed 1-31 March 2010 at Parisian concept fashion store “Colette”. Today, as it was two decades ago, the ring is made up of two interwoven bands that are bonded to each other but still free to move around each other. In this version, one of the bands is a chain in white, yellow or pink gold to match the corresponding precious metal of its mated band. 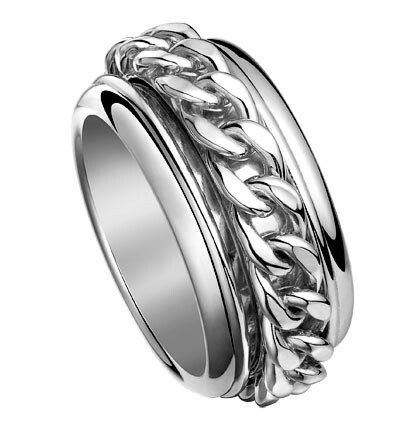 There is an option that features a pave setting for the band.